« A Repair Dialogue; or, how to repair a pair of tatty tea towels? This pattern assumes you know how to knit twisted stitches and how to knit in the round using the Magic Loop technique. The mittens start of with a tubular cast-on. The first half of the ribbed cuff is knitted on slightly larger needles than the second of the cuff, to ensure it folds over neatly. The wrist is knitted in stocking stitch. 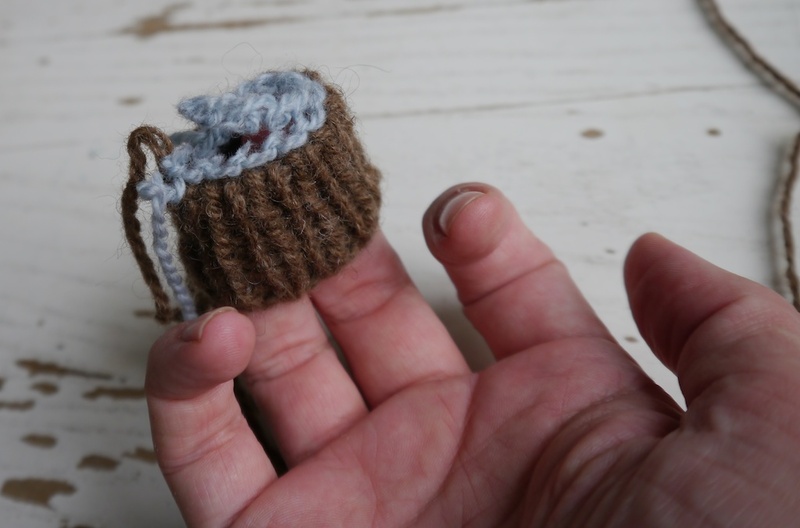 The hand and the thumb are knitted in twisted stitches throughout. The shaping of the top at the back of the hand is cleverly hidden within the pattern. 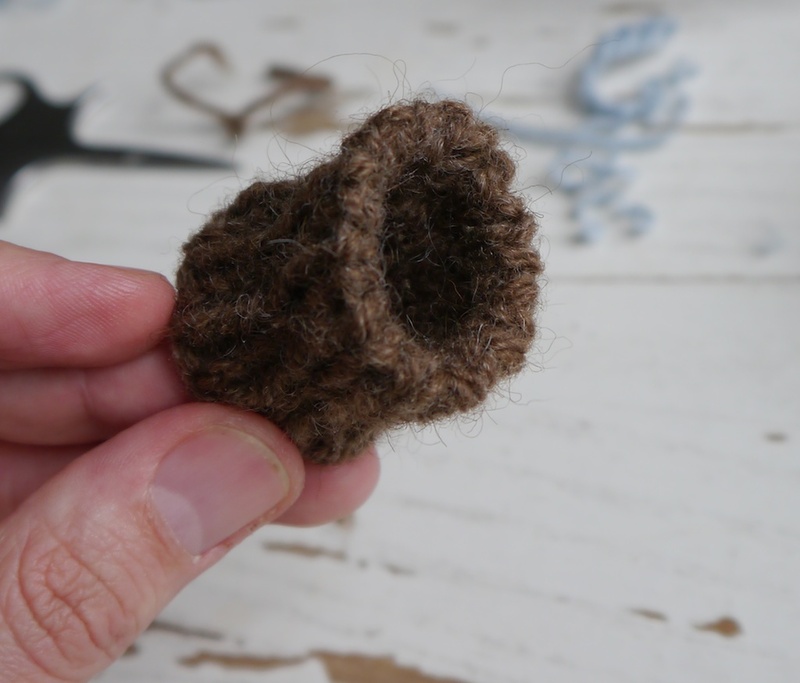 Tubular cast-on with waste yarn, the tutorial follows below! Of course, a pattern launch by me would not be complete without a tutorial! 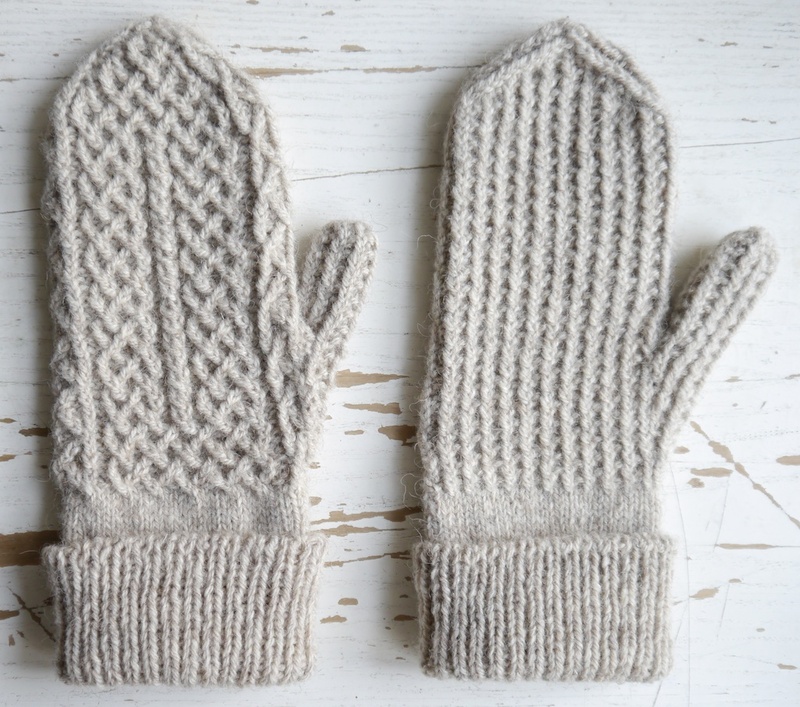 So, today I want to show you how I did the tubular cast-on for these mittens. I used to favour what’s usually called the Italian cast-on or alternating cast-on, which is a variation of the long-tail cast-on (although the needle movements are completely different.) But after reading Catherine Lowe‘s The Ravell’d Sleeve, I tried out her method and it gives me better results, and doesn’t depend on accurately maintaining the tension of your cast-on in order to look good. 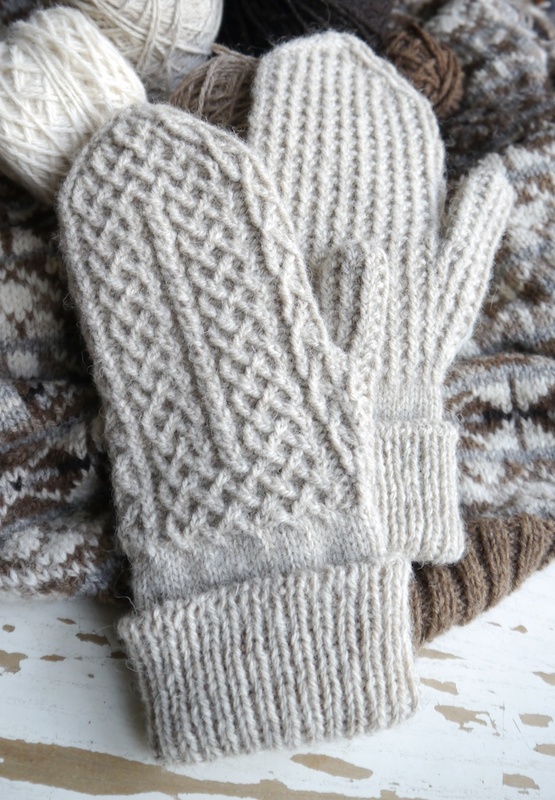 You can buy the Crofters Mittens pattern here. 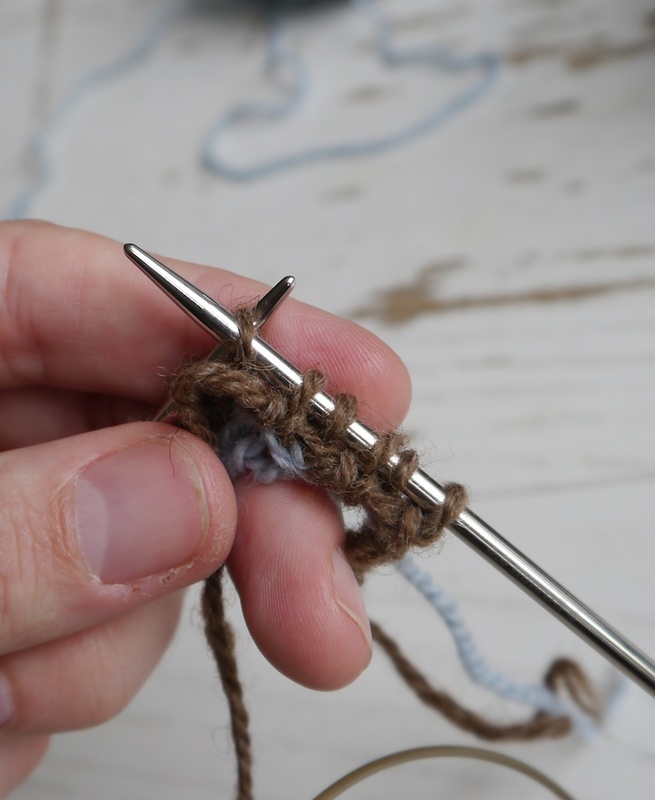 Assuming you want an even number of stitches for a 1×1 ribbing, first calculate how many stitches you need to cast on. 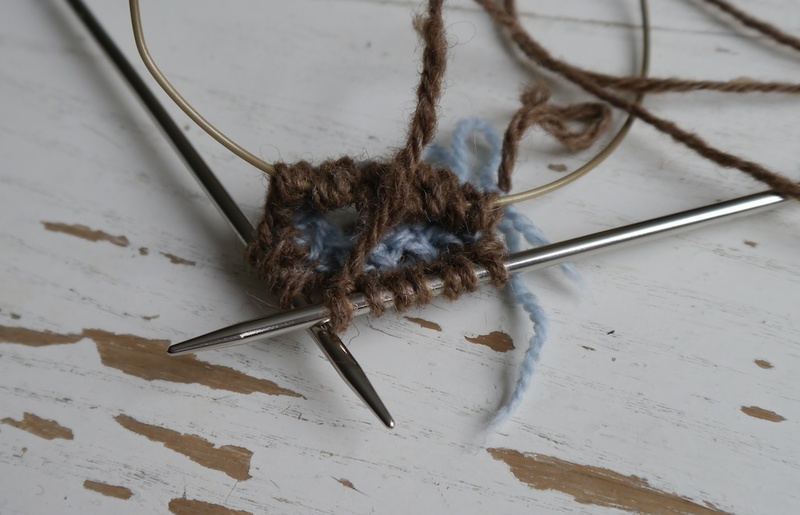 If your ribbing is X stitches in the round, then add 2 to X. Then divide this by 2. 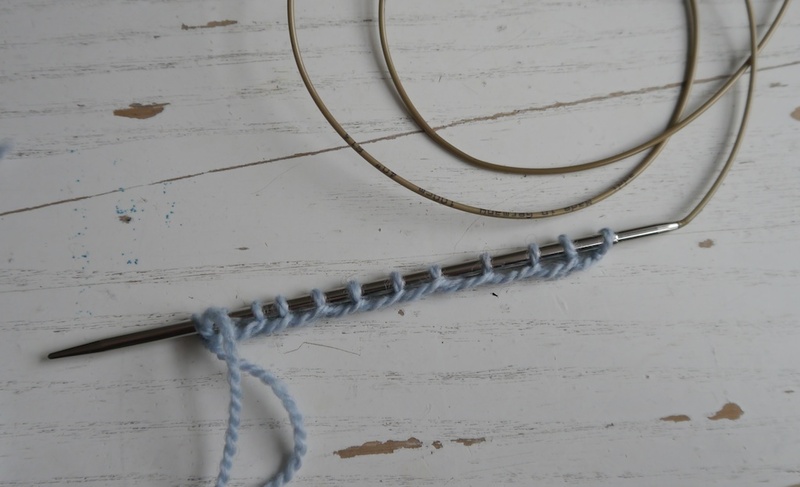 This is how many stitches you will need to cast-on (for example, if your ribbing will be 52 stitches in the round, then 52 + 2 = 54, 54 / 2 = 27, so cast on 27 stitches.) Using smooth waste yarn and a circular needle one size smaller than you want to use for your ribbing, very loosely cast on calculated number of stitches with the long-tail cast-on method. 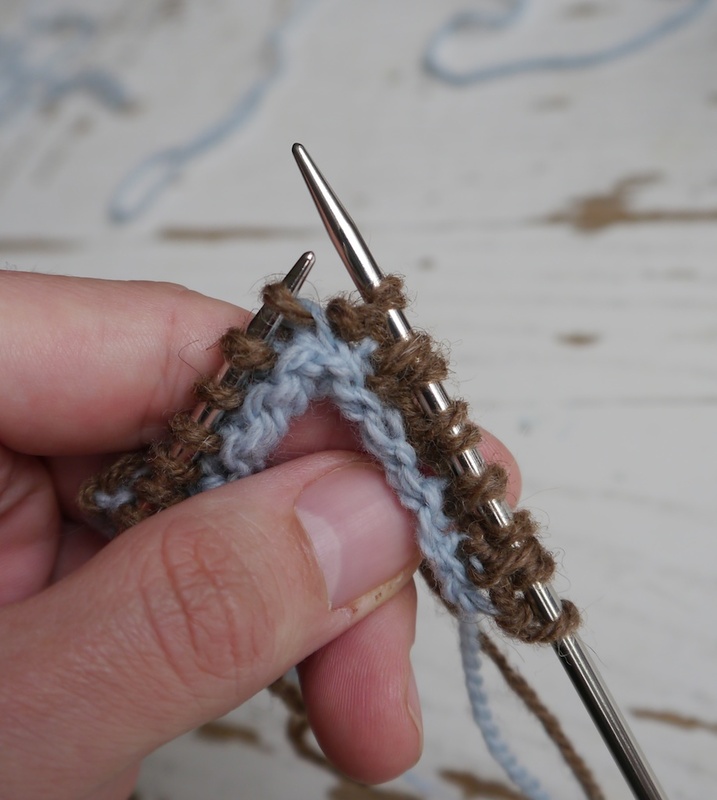 Make sure to space the stitches far apart to create lots of stretch. Now knit across the first row. At the end of the row, break off the waste yarn and attach the main yarn to the tail of the waste yarn. 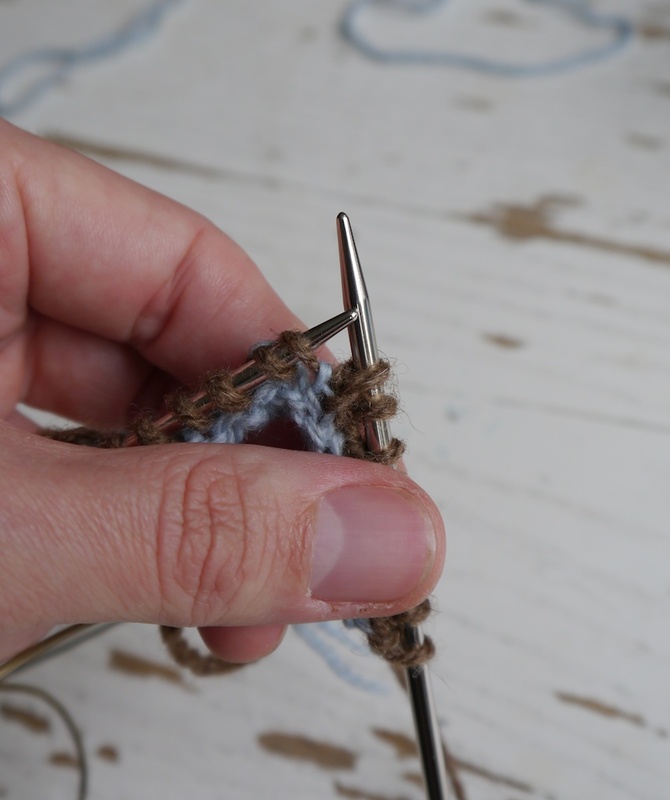 Turn work and then purl across to the end, then turn your work again. Now the fun begins! 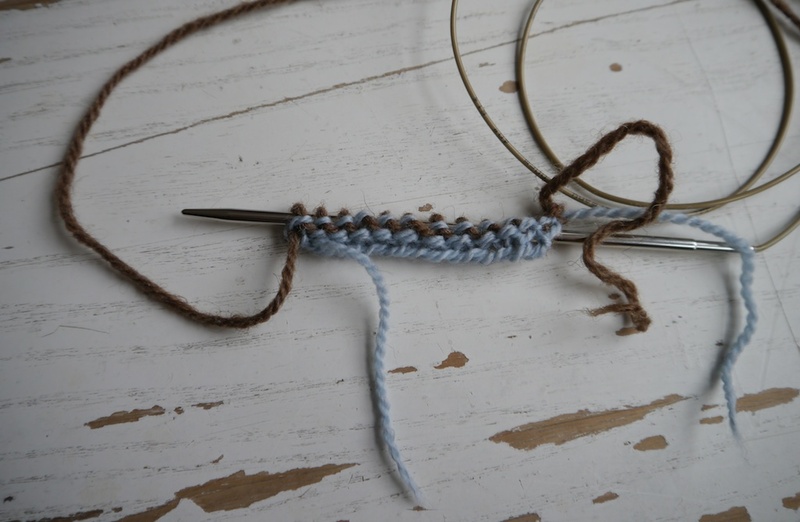 * knit 1, then increase by purling into the running thread between the stitch just knitted and the next stitch *, repeat from * to * to the last two stitches, and knit 1, purl 1. You have now reached the end of the row. Turn your work one more time. This is the last row worked flat. * Knit 1, bring yarn to front, slip the purl stitch purl-wise, then bring yarn to back * repeat from * to * to end. You have just ended on a purl stitch. You are now ready to join in the round. You can place a marker if you find this easier to find the beginning of the round. I’m using the Magic Loop technique. So, here goes: join in the round, and again * Knit 1, bring yarn to front, slip the purl stitch purl-wise, then bring yarn to back * repeat from * to * to end.. The tubular cast-on is now completed. 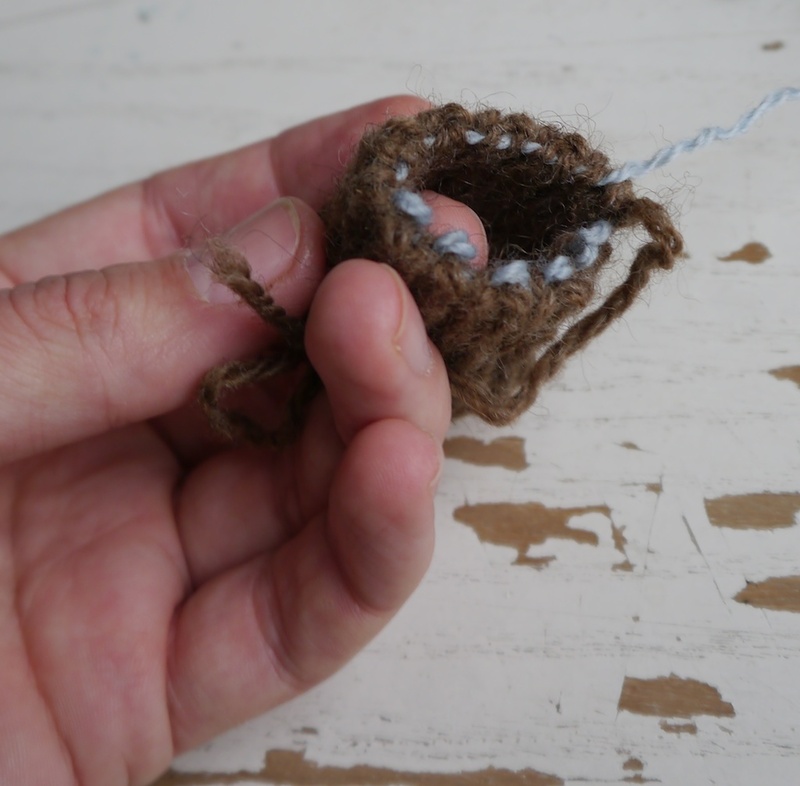 You can leave the waste yarn in place until you have finished the object you’re making. 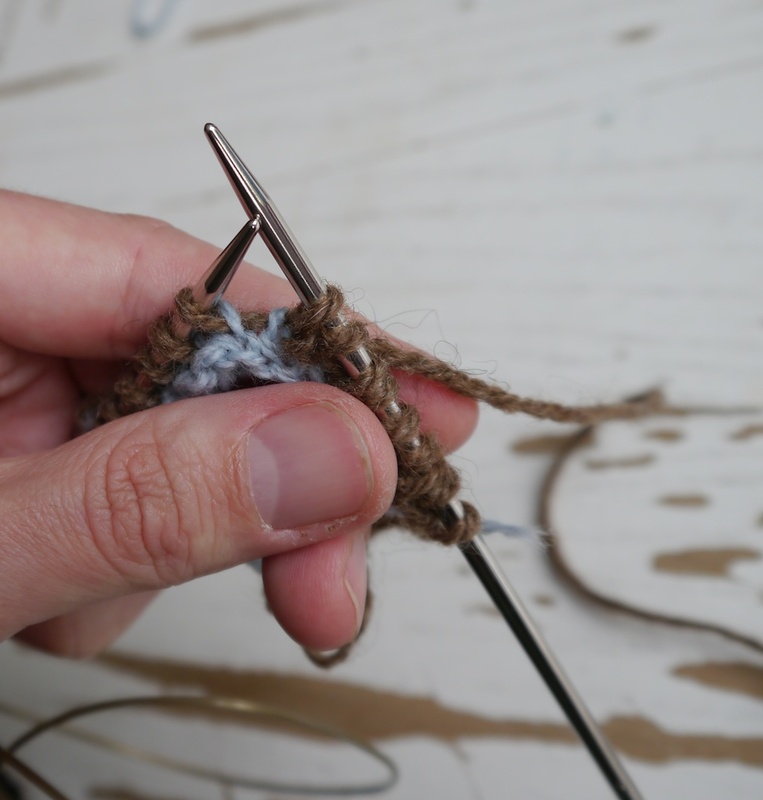 Once you’re ready to remove it, first unpick the knot holding the main yarn tied to the waste yarn, then very carefully cut off the cast-on row with scissors. As there’s an additional row of waste yarn, it should be quite easy to stay away from the edge of the ribbing. Once the cast-on row has been cut off, it should be fairly easy to unpick the remainder of the threads. Depending on where exactly you cut, you may be left with one last row of waste yarn peaking out of the ribbing. This is easily removed by carefully pulling on the waste yarn: it will come out as one strand. All the is left to do, is use some judicious darning in of the yarn tail, et voila, your tubular cast-on is complete! One tube with tubular cast-on. Can you work out where the beginning of the row was? Thank you Tom. I wouldn’t have learnt one more cast-on technique if I wouldn’t have seen the nice result of your work in the last picture. That is just wonderful!! Thank you so much, love the pattern and since it is beginning to get a tad winterish this is perfect timing. Good job. The mittens will be welcome in the Northwest. Magnificent mitten design and execution. Very beautiful. Thank you so much for the great tubular cast-on tutorial! I recently bought a kit for a cardigan and upon reading the pattern found it started with a tubular cast-on. I now feel that I have the resources to start this cardigan. The mittens are very beautiful and I have put the information in my Ravelry library for future purchase. Thank you!! Can’t wait to give this a go! Thanks. Oh my god, these are the mittens of my dreams. Stunning, stunning, stunning, Tom! Wonderful. 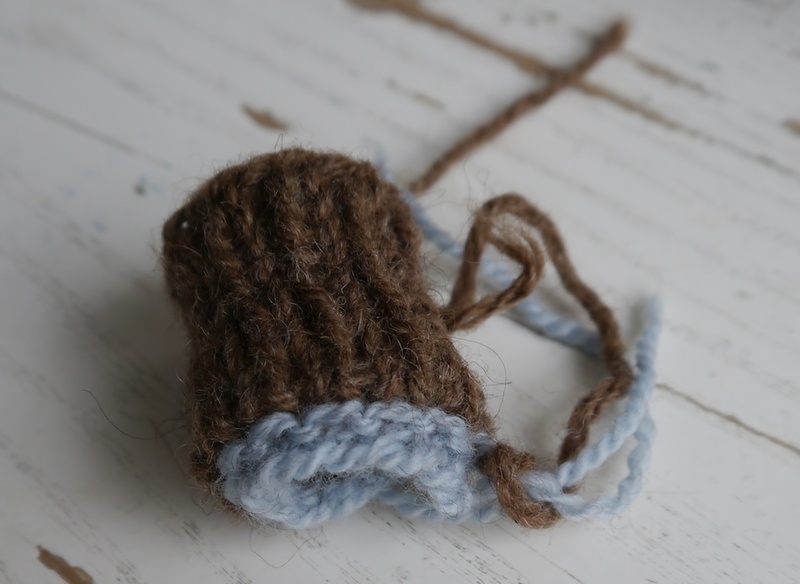 I did so enjoy Tea Jenny with Magnus and Justyne’s wool. I am hoping for a hat to match?? My friend keeps stealing the Tea Jenny hat all the while complaining that it is not a ‘manly pattern’. This is a great cast-on, the ribbing seems to arise from nowhere. I am amazed this is the same weight of yarn used for Tea Jenny. Excellent. Appreciate the effort you put into your work and then share with other.